As you can probably tell, I like wine everywhere. 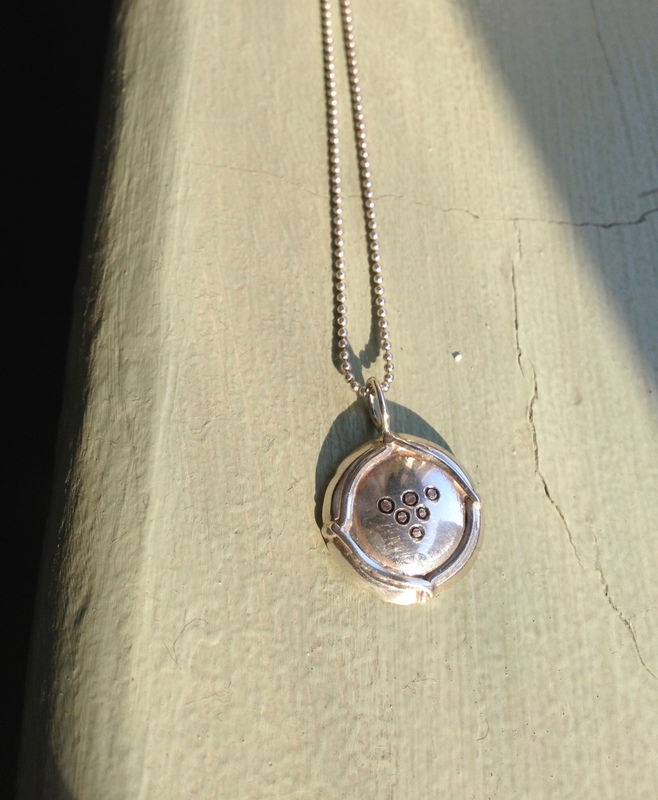 Indoors, outdoors, with my food, on my food, and now on my jewelry! I met the lovely Laura Lobdell in June, and she showed me her collection of awesome jewelry while we sipped on some Sofia bubbly. Laura started out by making silver guitar picks for her musician friends who’d lose their picks – they’d then put the silver ones around their necks with leather and then usually have to get another one when girls would steal them to wear them themselves. 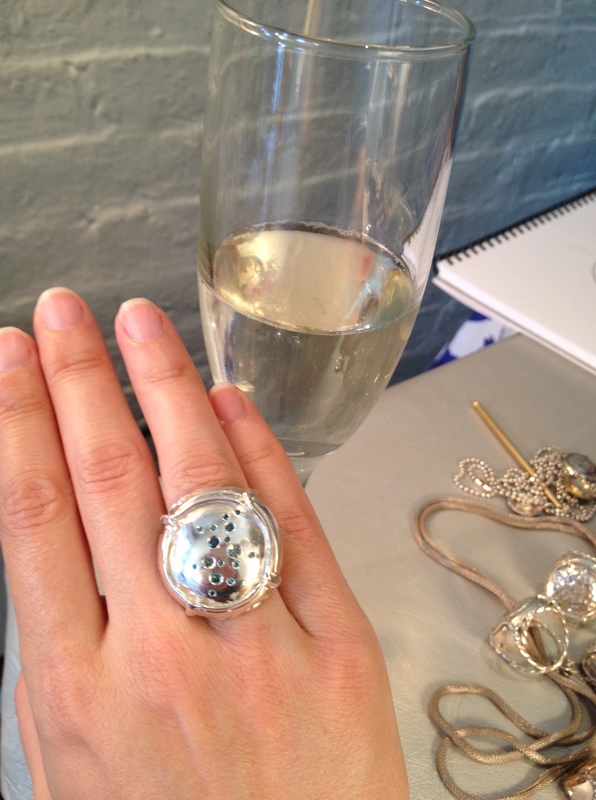 But our champers drinking was particularly fitting since one of her jewelry lines is Champagne-inspired, with sterling silver rings and necklaces cast from a Champagne cap! Brilliant. Laura etches stuff on the the caps – dots (or diamonds) that look like bubbles, vintage years, initials – whatever you want. She amazingly offered to make me a custom necklace, and at first I was just going to get my initials or the year I started grapefriend. 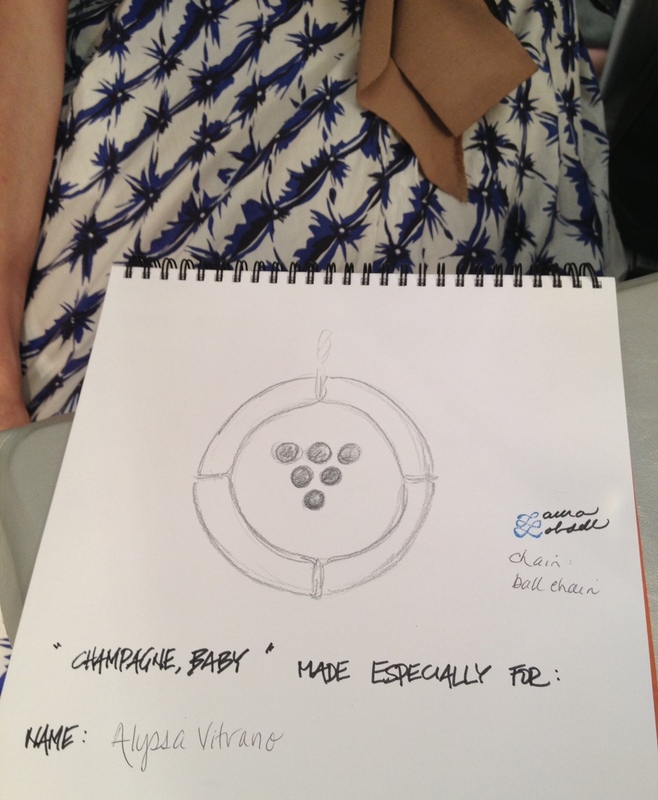 But then DUH obviously the play was to get the grapefriend logo! Voila! LOVE IT! Oh, and she also makes these cool surf bracelets. The longitude and latitude map coordinates of all different great surfing spots (Montauk, Malibu etc) are hand-screen-printed onto pieces of silk. 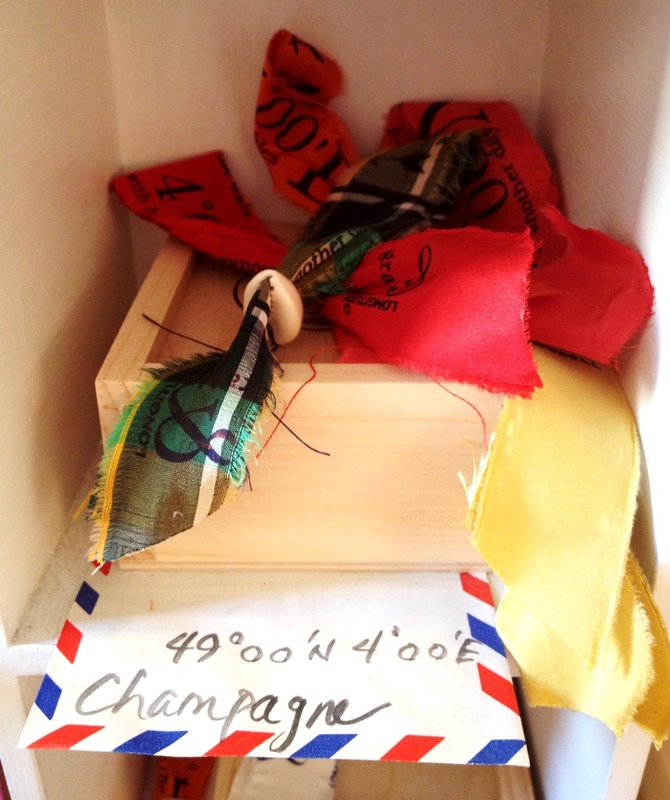 But being grapefriend, I got one with the coordinates of Champagne, France. You can get all of these super grapey gems at her shop on West 10th Street or right on her site. Cheers! Tags: accessories, champagne, fashion, jewelry, style, wine. Bookmark the permalink. Previous post ← happy still summer happy hour! 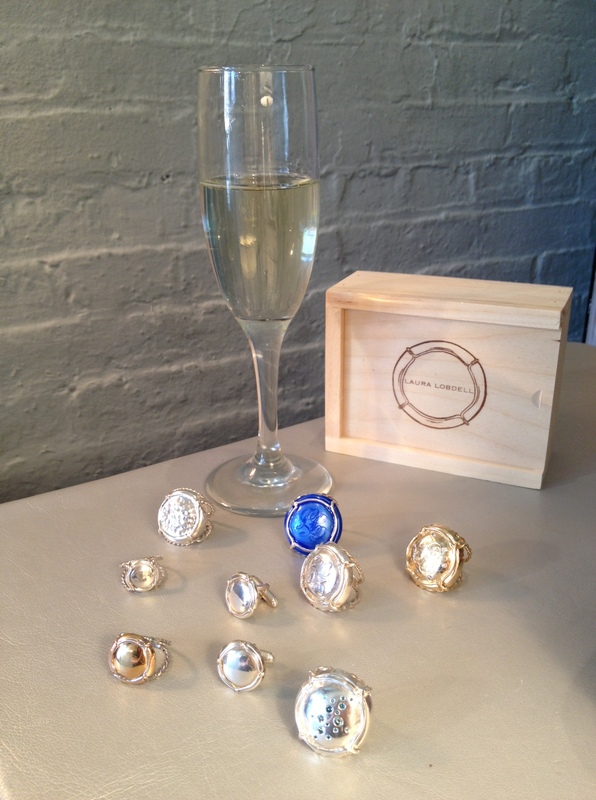 Mmm…Champagne and jewellery, two of my favorite things! 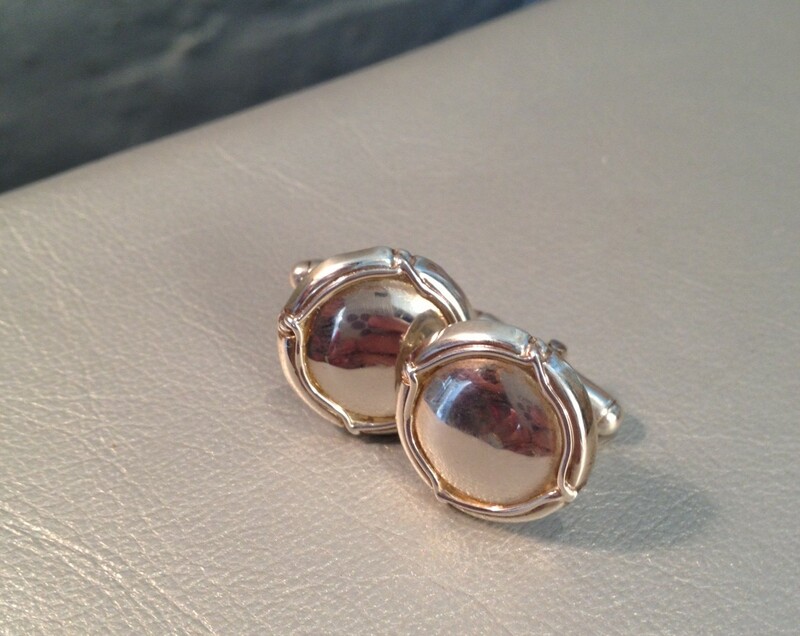 I have to have these cufflinks – how creative! Oh my goodness! A silver guitar pick! I might have to start playing again! Lovely! The bubbly ring is perfect! Talk about being true to your passion. I wonder if she would make one in shape of a cupcake, but that it doesn’t look like for a child….I’m sure it would be interesting.